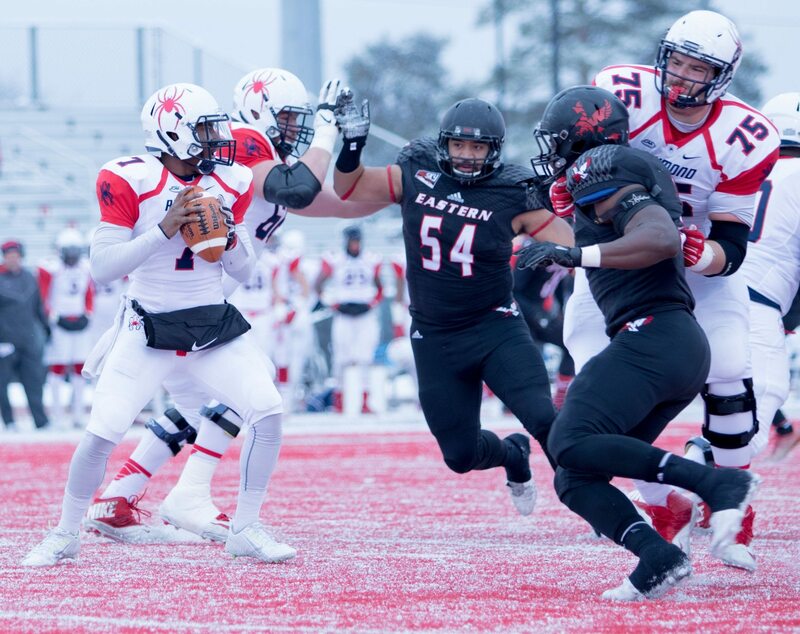 Runs through the FCS playoffs had become customary for Eastern Washington. Last season, the Eagles once again surged into first place in the Big Sky Conference and positioned themselves for a playoff seed only to see it all come crashing down. EWU lost three straight down the stretch in 2015 to finish 6-5 and out of the FCS playoffs for just the third time under head coach Beau Baldwin. The free fall, while heartbreaking, proved to be the catalyst for the current run to national prominence Eastern is currently consumed by. The first domino came when EWU All-American wide receiver Cooper Kupp decided to return for his senior season. 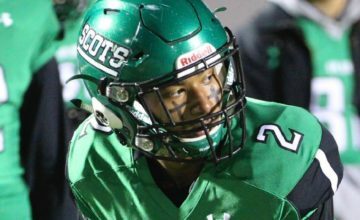 The reigning Walter Payton Award winner could have entered the NFL draft and been a mid-round selection. The next domino came when explosive wide receiver Shaq Hill earned a medical hardship waiver and a sixth year of eligibility. 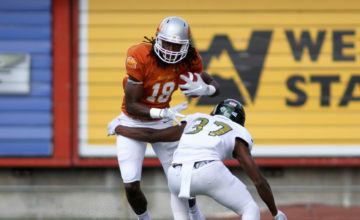 His addition to a receiving corps that also included All-Big Sky senior Kendrick Bourne thrust the group into a level among the best in the FCS. The decision of Kupp and the return of Hill plus a focused singular mentality shared by the team’s other standout seniors like Samson Ebukam, Miquiyah Zamora and Zach Bruce galvanized the team, sparking an off-season Baldwin has talked about with great pleasure throughout the 2016 season. Baldwin firmly believes EWU’s ability to finish is a product of the sweat and sacrifice the team endured last winter, spring and summer. “This is the feeling you get when you are playing these games late in the season, playing these very meaningful games,” said Kupp, the all-time leader in college football history in catches, receiving yards and touchdowns. “I think it’s a testament to what the playoff atmosphere brings, being around the guys after all we’ve been through. That’s the greatest motivation: being able to go out and earn an opportunity to earn another week or three weeks with these guys, being able to spend more time together is really what is very special about this group. There’s a genuine brotherhood and love for each other that is one of a kind. Last week, EWU’s total team effort propelled the Eagles to a 38-0 win over Richmond in the quarterfinals of the FCS playoffs. The trip to the semifinals is EWU’s fourth since 2010. Kupp helped EWU to the semifinals as a redshirt freshman in 2013 but Eastern lost in the quarterfinals in 2014 and missed the playoffs last season. Second-seeded Eastern Washington hosts Youngstown State this week, a 30-23 winner in double overtime over Wofford last week. The Penguins eliminated No. 3 seed Jacksonville State, last season’s runner-up, in the second round, 41-20. With his six-catch, 128-yard performance that included a touchdown two plays after taking a hard shot to his injured left shoulder, Kupp has 107 catches for 1,520 yards and 15 touchdowns this season. The soon to be four-time All-American now has 418 catches for 6,284 yards and 71 touchdowns, all peerless marks among all of college football. His contributions to the EWU locker room have been much greater than his production on the field, Baldwin said, was Eastern has ripped off 11 straight wins since a 50-44 overtime loss to five-time reigning FCS national champion North Dakota State in Fargo the second week of the season. “His decision to be here this year, that it was important to him, you have to understand, when you are a college football player and you see a guy who is married and graduated and has an opportunity to go to the NFL and instead chooses to be in the locker room with you and be around here?” Baldwin said. “It makes you feel important. 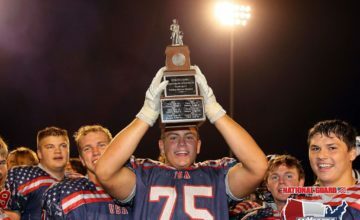 Behind Kupp, Hill, Bourne and the emergence of sophomore quarterback Gage Gubrud, the Eagles again led the country in pass offense, a common theme in Baldwin’s nine years at the helm. The Eagles throw for 402.2 yards per game. The Penguins will counter with a pass defense that led the Missouri Valley Conference by allowing just 182.9 yards per game. EWU has played two MVC schools this season, including the OT loss to NDSU. Eastern rallied for a 34-30 win over Northern Iowa the next week in its home opener. Gubrud threw for 450 yards and four touchdowns against NDSU but struggled down the stretch and into the first half against UNI. Sophomore Reilly Hennessey came off the bench to throw for 226 yards and three touchdowns against the Panthers to spark EWU’s long winning streak. Bo Pelini coached for seven seasons at Nebraska, winning at least nine games every year and 10 games on three different occasions. He was fired despite leading the Huskers to seven straight bowl games, three bowl wins, 67 wins overall and a finish in the Top 25 six straight seasons. He took over at Youngstown State before the 2015 season. The Penguins went 5-6 last fall and started this season 6-3 with losses to South Dakota State and North Dakota State in the span of three weeks. Following a 24-3 loss at NDSU, the Penguins have ripped off five straight wins, including three in a row in the playoffs. Last week’s win came against Wofford’s triple option attack. The Terriers rushed for 297 yards but threw for 0 yards and amassed just 11 first downs. “You talk about going from one extreme to the other,” Pelini said. Pelini went and linebacker Armand Dellovade each compared EWU to South Dakota State. The Jackrabbits finished second in the MVC by throwing for 292.5 yards per game. Youngstown State defines the Missouri Valley style Baldwin referenced. The Penguins rush for an MVC-best 257.1 yards per game and throw the ball about 20 times per game. Jody Webb led the Missouri Valley with 1,200 yards this season while Martin Ruiz is third in the conference in rushing with 1,153 yards and an MVC-leading 12 touchdowns. Whoever plays Saturday will have to endure temperatures approaching or even dipping into the negatives. Pelini coached linebackers for the Green Bay Packers for three seasons in the early 2000s and said preparation for cold weather games are paramount but that does not mean you practice in cold weather. Baldwin has made similar comments, never acknowledging weather as a factor. EWU played in temperatures lingering in the low 20s in its win over Richmond last week. Regardless of the temparatures, Kupp and the Eagles know they are one step away from reaching a chance to attain their ultimate goal: a national championships. Photos by Jason Bacaj for Skyline Sports. All Rights Reserved.